Sometimes doctors don’t know best. 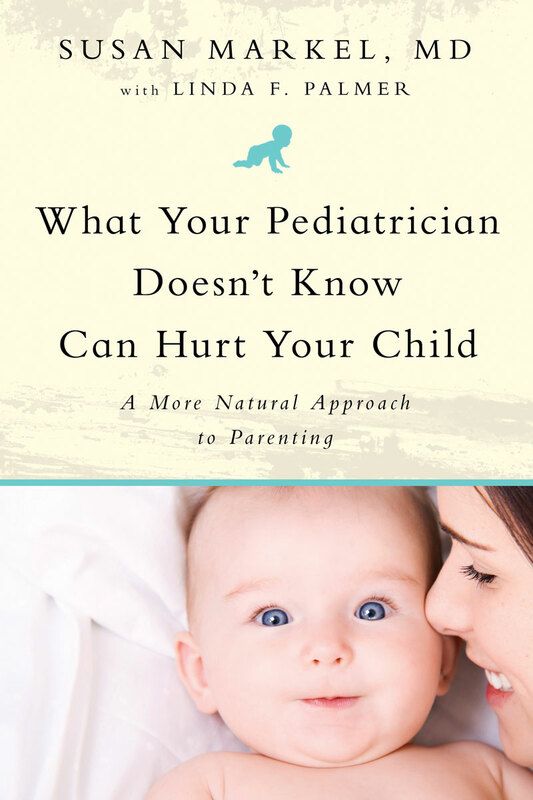 Fortunately, mom and doctor Susan Markel is a pediatrician who questions conventional wisdom and instead partners decision-based medicine with the best ideas of attachment parenting. Too often, parents ignore their instincts and better sense to follow their doctor’s advice, such as overtreating vulnerable children, letting babies cry themselves to sleep and giving their children cow’s milk for strong bones, even though strong evidence shows none of these practices is the best route. Dr. Susan Markel, who here reveals the medical industry’s gaps in knowledge, has been a frequent contributor to BabyCenter.com, the world’s most popular parenting site, as well as a medical associate at Attachment Parenting International, and a La Leche League International medical liaison. In association with Linda F. Palmer, D.C., author of Baby Matters, in What Your Pediatrician Doesn’t Know Can Hurt Your Child., this new work combines the latest research with solid advice from a pediatrician who dares to defy her rote education and big-industry-supported dogma and seek out parent- and child-centered choices in all aspects of child care. As a mother and a pediatrician with 30 years’ experience, Dr. Markel has come to find that less intervention in the natural processes generally brings superior outcomes. In a reader-friendly, succinct format, not bogged down by scientific digressions, this book will assist parents in making the best possible choices for the mental and physical health of their children. Dr. Susan Markel is a board-certified pediatrician who has a private consultative practice specializing in attachment parenting and child health. A graduate of Tufts University School of Medicine in Boston, Dr. Markel has been a fellow of the American Academy of Pediatrics since 1981. She is a medical associate at Attachment Parenting International and became certified as an International Board Certified Lactation Consultant (IBCLC) in 1997. She divides her time between homes in Connecticut and Aix en Provence, France. Dr. Linda Palmer is a doctor of chiropractic, a consultant and speaker on pediatric nutrition and natural parenting challenges, a science writer and a mother. She left her chiropractic practice shortly after the birth of her son, when she was confronted with his serious health complications and astounded by the lack of accurate or helpful information from doctors or books. For her son’s sake, she delved deeply into the scientific and medical literature to find answers, which led to further questions and some astonishing realizations.